Several months ago, during an interaction with a group of senior (serving and retired) civil servants, the discussion turned to one of Prime Minister Narendra Modi's flagship schemes, 'Smart Cities'. One 'smart' officer answered that it is an important scheme through which the Prime Minister hopes to change India. Someone else pointed out that this does not really explain what a 'smart city' is. How could this change the lives of city dwellers, particularly in places like Delhi, where traffic and pollution are increasing by the day? A better-connected person admitted that a few weeks earlier, he had phoned one of his colleagues, serving in a senior position in the urban development ministry and asked the latter the same question. The answer was: 'We are not sure as yet, but we are working on it'. 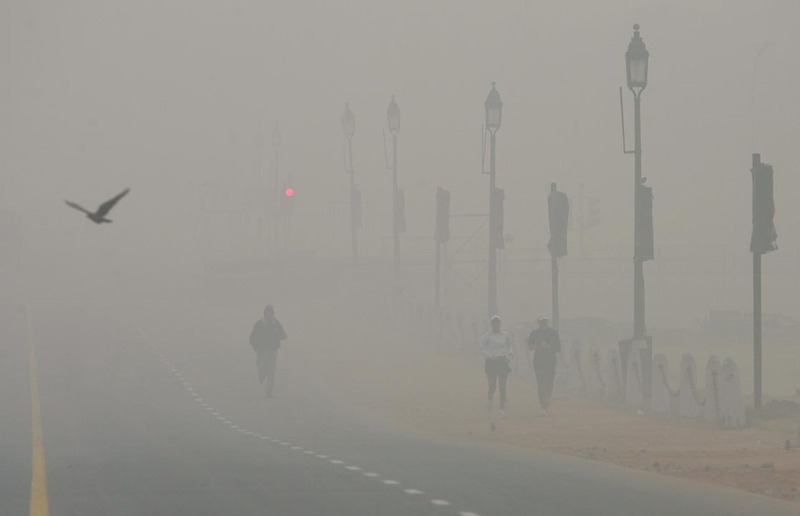 There was no doubt in anybody's mind that there is an urgency for Delhi to become smarter; otherwise, millions could soon suffocate with the increase in pollution, the dysfunctional transportation system and the degradation of the quality of life in general. Since that discussion, the government and particularly the 'Smart Cities Mission' have done some homework. The website of the ministry confesses that there is no universally accepted definition for a smart city; it could mean different things to different people. Ultimately, a smart city 'contains a wish list of infrastructure and services that describes his or her level of aspiration'. After a recent visit to Bhutan, I realised that an important factor has been left out - happiness. Should not citizens be happy in their smart city? It seems quite obvious, except for the 'planners'! The concept of 'happiness', perhaps, places the bar too high. But should not the well-being of the body and the mind be at least included in the objectives of 'smart cities'? Even if technology can go a long way to help achieve these objectives, the human aspect should remain the main focus. Human beings should be at the centre of preoccupation of the planners when they dream of achieving smartness. Unfortunately, the 'expert' builders took over the new city and the human approach of the model city remained only words. 'Smart City' is today a fashionable slogan, particularly for foreign investors, but how many town planners are ready to follow in the steps of Le Corbusier? It is true that there is no easy solution. One way out could be the delocalisation of some of the Indian ministries, all located in Delhi. Why can't the urban development ministry give the example and shift to a 'smart' new place and become an example for others to follow. Let us not forget that new technologies, IT in particular, are to be the engine of the 'smart revolution'. With the advent of video-conferencing, emails and other means of communications, the shifting of a few ministries should not impact the efficiency of the babus and their political masters. Take Shastri Bhavan, which hosts a score of different ministries. One often reads in the press about fire in Shastri Bhavan. It is one of the most 'un-smart' buildings in Lyutens' Delhi. Why can't some of these ministries be relocated in other parts of India? Why not in the Northeast or in the south, for example? It will certainly release the pressure on the national Capital and bring new energies to the 'provinces'. Delocalisation would be a smart move. It would help make India not uniquely a Delhi-centric country, but also help having smarter, more sustainable governance. Not only ministries, several government undertakings could also be shifted outside Delhi (I am thinking particularly about think tanks and many educational institutions). Gurugram could have been a great experiment, had it not been uniquely based on economic short-term profits on immovable properties. It has become an example not to be followed. Another modern tragedy is the migration of populations from the frontiers, particularly the borders with China in Ladakh, Uttarakhand and Arunachal Pradesh. Delhi works at snail's speed to create a semblance of infrastructure in these areas, resulting in migration towards the 'big cities'. This too is not at all smart. How the next Dalai Lama may be selected!